There are relatively few visa difficulties for Japanese and U.S. students studying in each other’s countries. 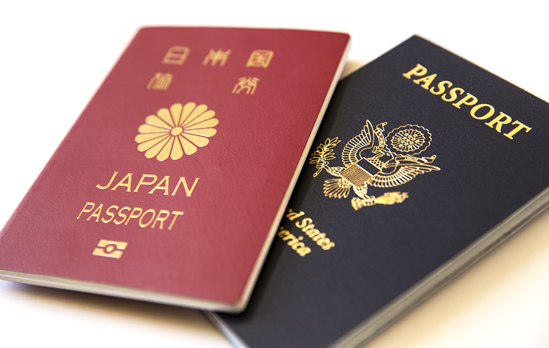 Many short-term study trips (under 90 days) do not require a visa for U.S. students traveling to Japan and are covered under the Visa Waiver Program for Japanese students traveling to the United States. Semester or year-long programs, however, require a J-1, F-1, or M-1 visa for the United States and a General visa for Japan. The governments of Japan and the United States are the ultimate authority on such visa matters. Both provide useful information at the following sites. The one area of difficulty concerns the ability of Japanese students to pursue off-campus employment or paid internships while in the United States. Many wish to do so. This can only occur under certain circumstances. There are at least three possibilities for programs in which Japanese students can engage in work or internships off-campus while at their U.S. partner. The regulations for these are extensive, and the U.S. government through its Department of State is the final authority. The above-listed websites provide an entry into these regulations, as can discussions with appropriate officials in Japan or the United States. The VWP is intended for tourism or business stays of 90 days or less without obtaining a visa. Some internship activities are general enough to fall under this category, especially if they are designed to observe the conduct of business or other professional or vocational activity, and if no salary is being paid. J-1 exchange visitors further U.S. foreign policy interests by increasing mutual understanding by means of educational and cultural exchanges. Only U.S. organizations approved by the Department of State Bureau of Educational and Cultural Affairs may sponsor J-1 visitors. Many U.S. colleges and universities are approved. There is a category of the exchange visitor program for college and university students meeting certain criteria and another for research scholars. If the relevant criteria are met, Japanese student and faculty can pursue hands-on activities in their fields while in the United States. F-1 visas are academic in nature, intended for students pursuing fulltime study in the United States. Examples of work or internships on an F-1 visa include on-campus employment, paid Optional Practical Training (OPT) in a job related to the student’s major area of study either during or up to one year after graduation, and non-paid internships or observations in organizations and companies. A student on an F-1 visa may also be able to participate in a for-credit internship during his or her course of study.